The group sings from a traditional music called isicathamiya (is-cot-a-ME-Ya), which developed in the mines of South Africa. It was there that black workers were taken by rail to work far away from their homes and families. Poorly housed and paid worse, the mine workers would entertain themselves after a six-day week by singing songs into the wee hours on Sunday morning. When the miners returned to the homelands, this musical tradition returned with them. During the 1970’s Ladysmith Black Mambazo established themselves as the most successful singing group in South Africa. In the mid-1980s, American singer/songwriter Paul Simon visited South Africa and incorporated the group’s rich harmonies into the famous Graceland album (1986) – a landmark recording that was considered seminal in introducing world music to mainstream audiences. 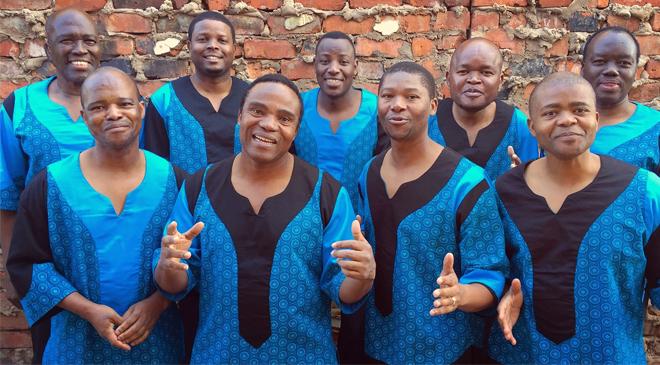 In addition to their work with Paul Simon, Ladysmith Black Mambazo has recorded with Stevie Wonder, Dolly Parton, Sarah McLachlan, Josh Groban, Emmylou Harris, Melissa Etheridge, and many others. 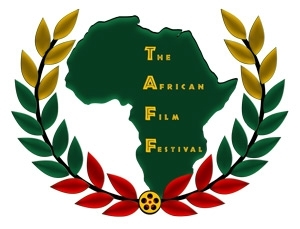 They have provided music for many movies, have appeared on Broadway where they were nominated for a Tony Award and even had a documentary film, titled On Tip Toe: Gentle Steps to Freedom, the Story of Ladysmith Black Mambazo, nominated for an Academy Award. 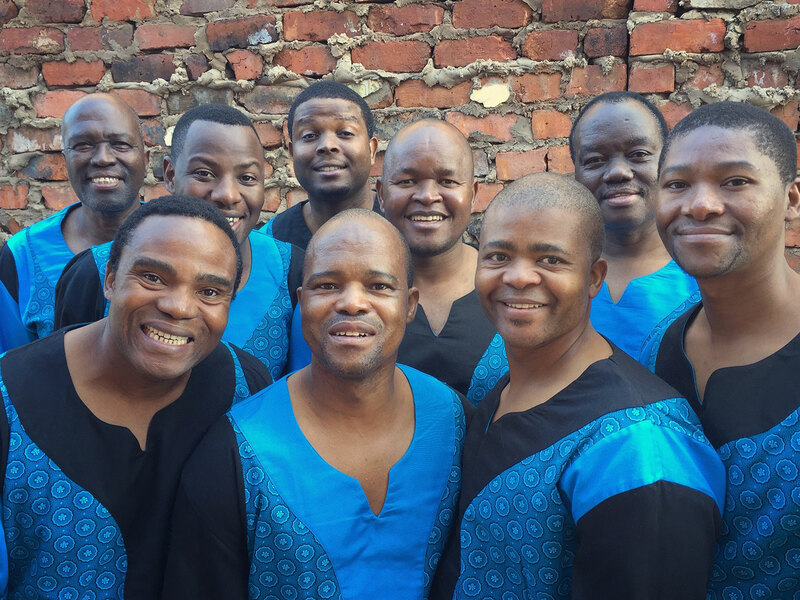 Ladysmith Black Mambazo carries a message of Peace, Love and Harmony as they travel the world year after year. They bring this message, in song and dance, to every theater they perform in. We hope you will join them as they sing their message.